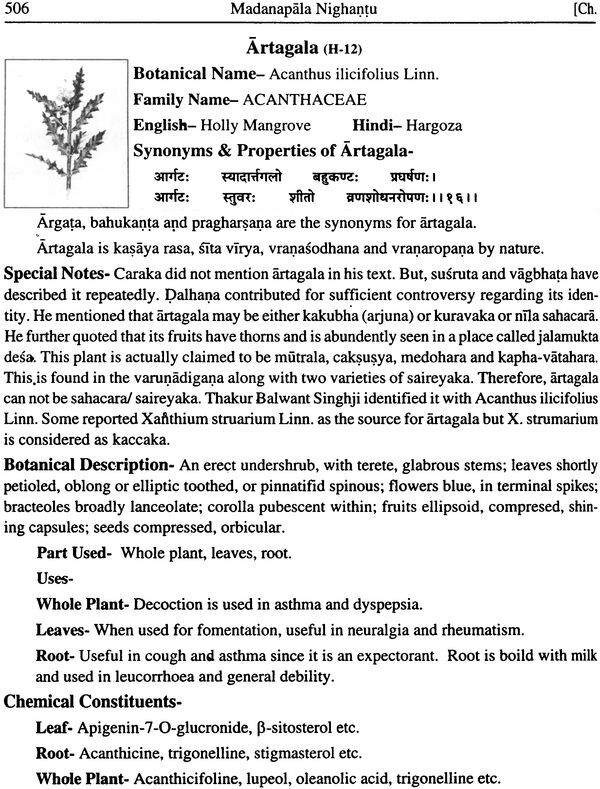 Madanapala Nighantu is one of the most important lexicons of ayurveda on which no translation is attempted in the past four decades. 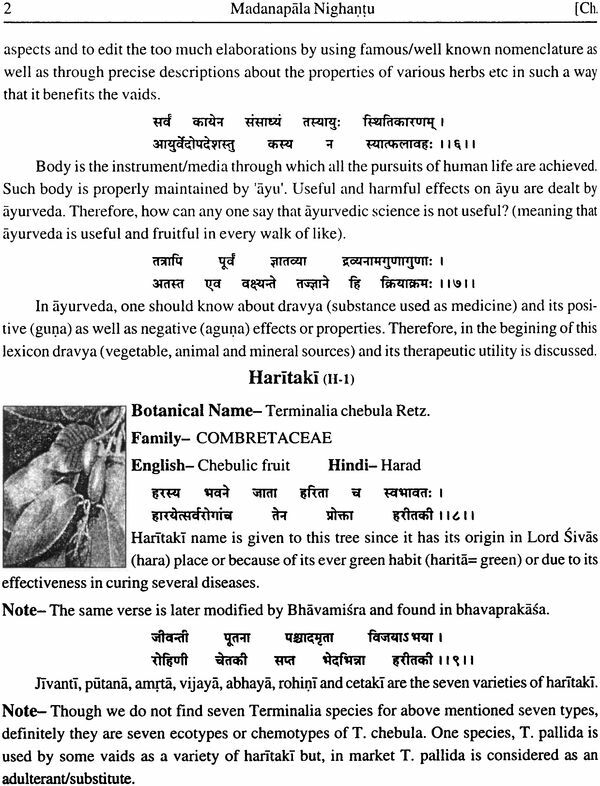 Madanapala Nighantu is the connecting link between the early nighantu works like Dhanvantari Nighantu and the modern nighantu works like Bhavaprakasa Nighantu. Owing to this importance, it is being translated along with extensive English commentary for the first time. 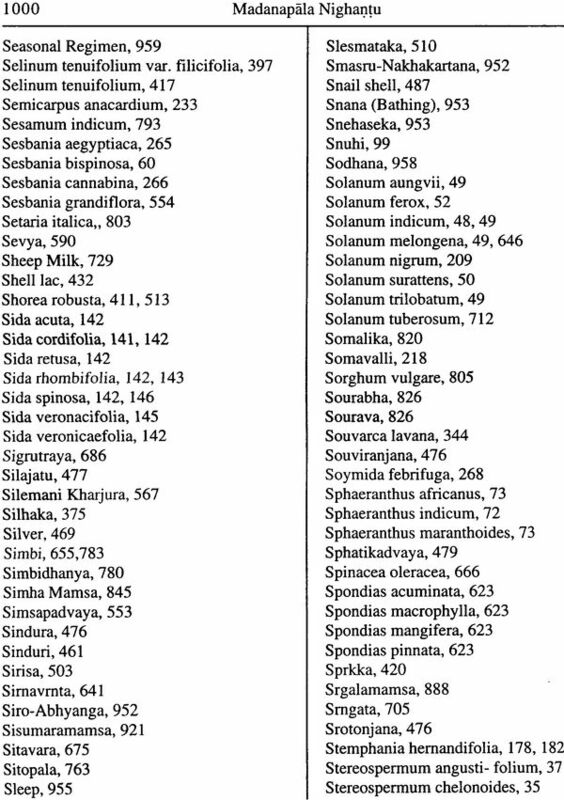 The author did provide the antecedence of each of the herbs basing on the information from the classical texts (Brhat trayi) as well as comparison with the other lexicon works (Nighantus). 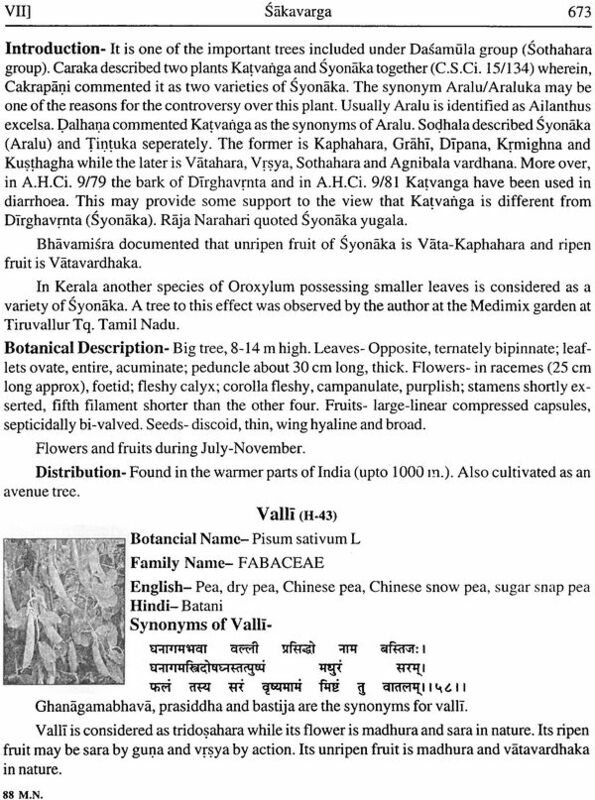 Madanapala introduced many new herbs to Materia Medica. 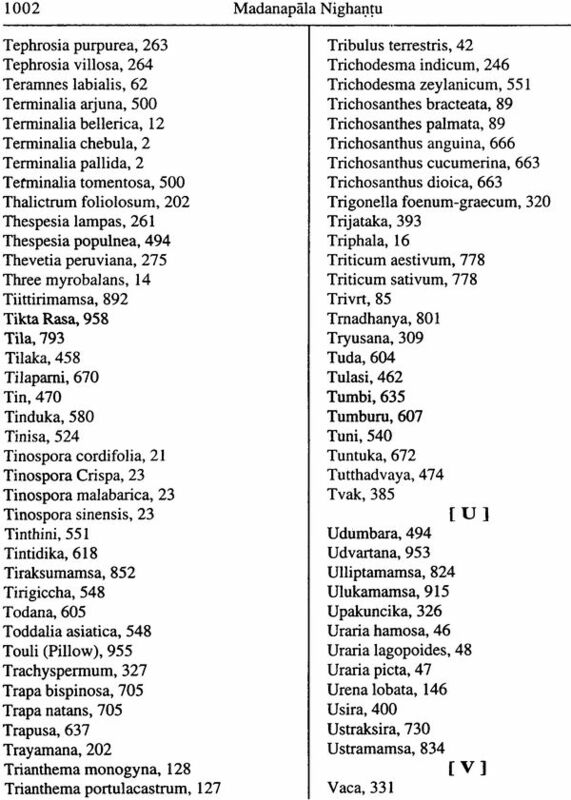 Author made careful review of several herbs and identified them botanically with specific reasoning. 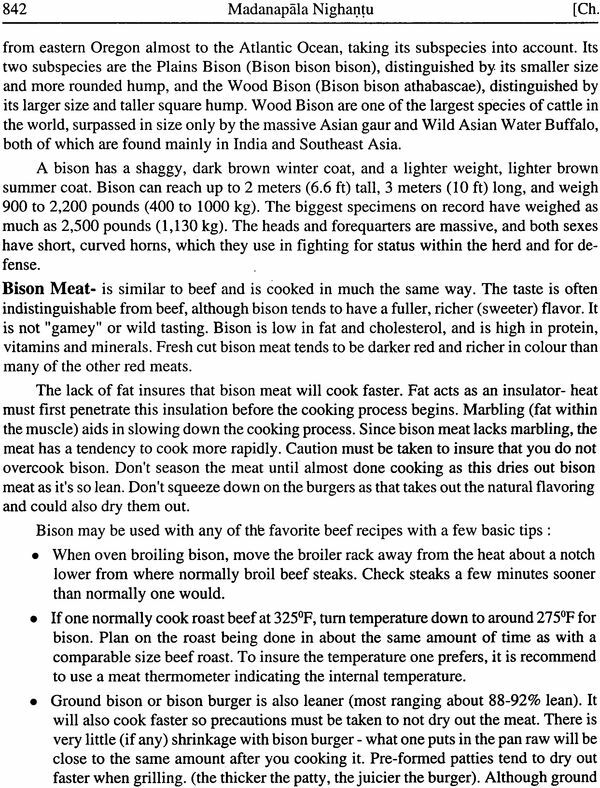 Scientific explanation on many of the Mamsa varga dravyas (animal meat) is fascinating to many. 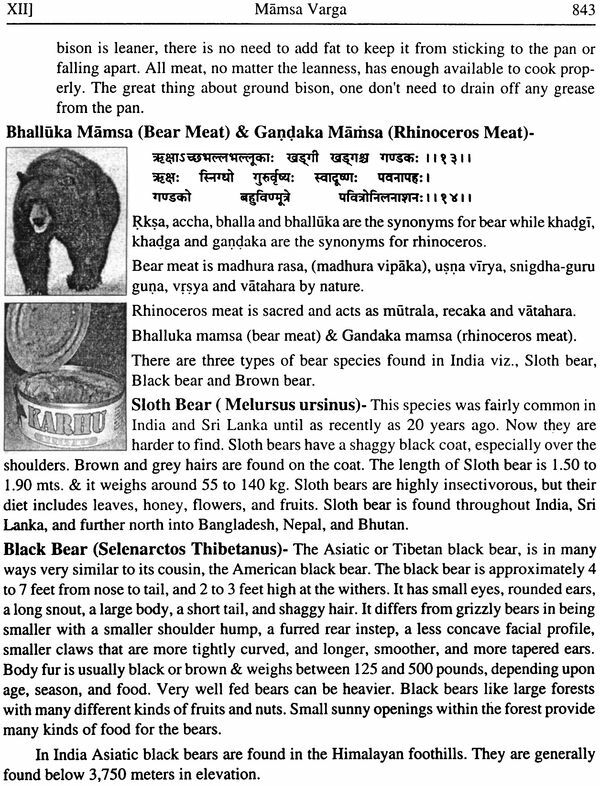 Extensive information is provided on the identity of the concerned animals. 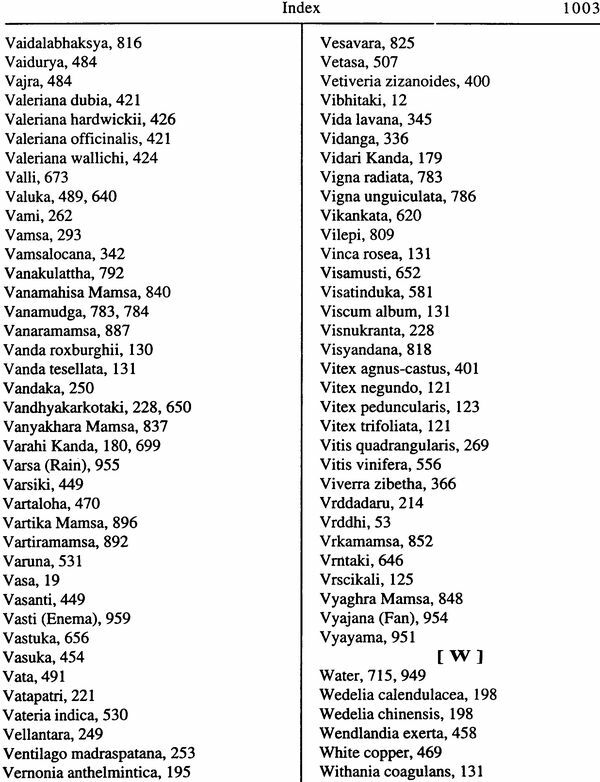 This is the first lexicon translation with llIustrations, making it unique among the existing translation works on nighantus. 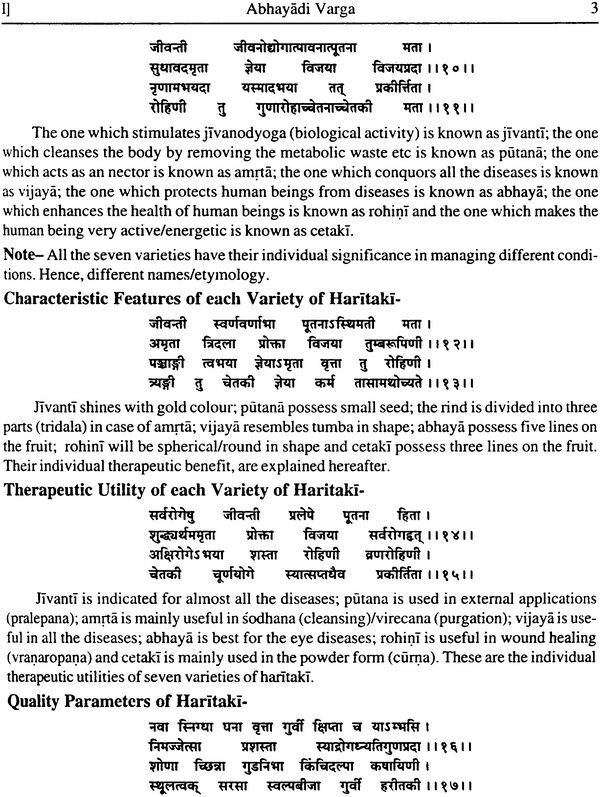 This work received “Veda Vyasa A ward” from AAPNA, USA under the best author category in the field of ayurveda for the year 20 10. Dr. Sastry is born in 1965 at Narasapurarn town of West Godavari District of Andhra Pradesh. 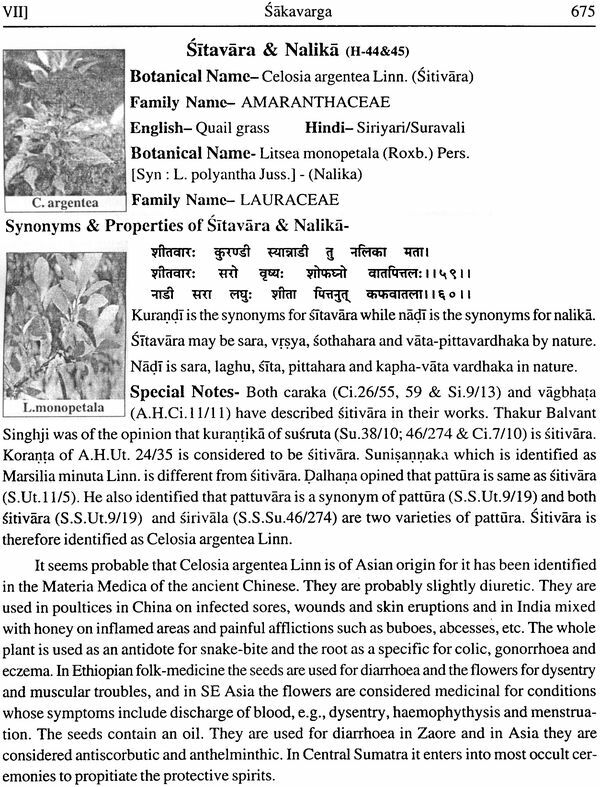 He belongs to an illustrious family of ayurvedic physicians. 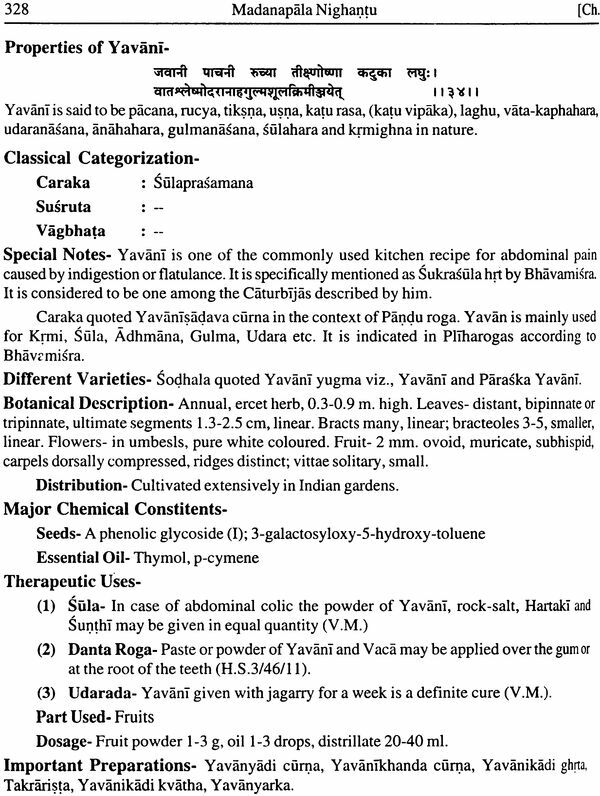 His grandfather Ayurveda Acharya & Ayurveda Visarada Late Jatavallabhula Lakshminarayana Sastry (J 904-76) was a famous Nadi Vaidya (pulse specialist) while father Dr. J. Krishnamurty who is a graduate in modem medicine is continuing yomen services to human kind through practice of ayurveda. 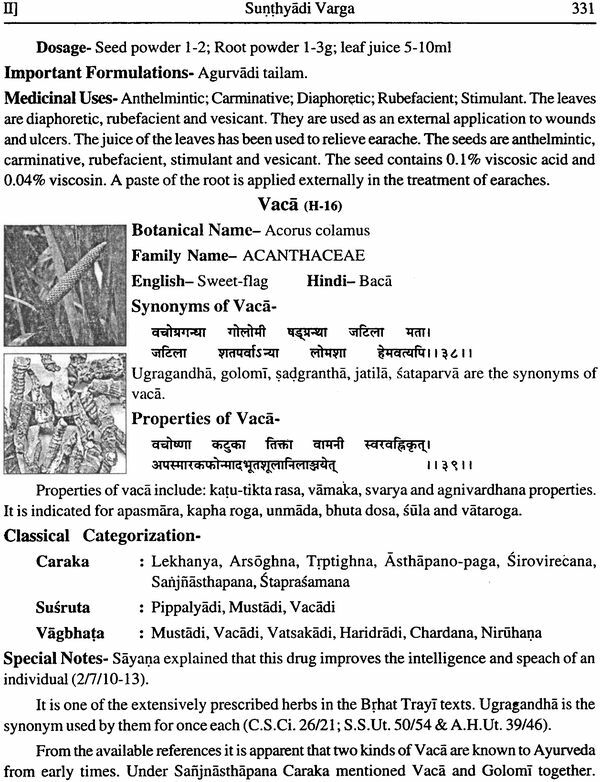 The tradition of ayurveda has descened from famous Vaids, Marla brothers (Vd. Marla Narasimha Sastry & Vd. Marla Narayana Sastry) of Kakinada. 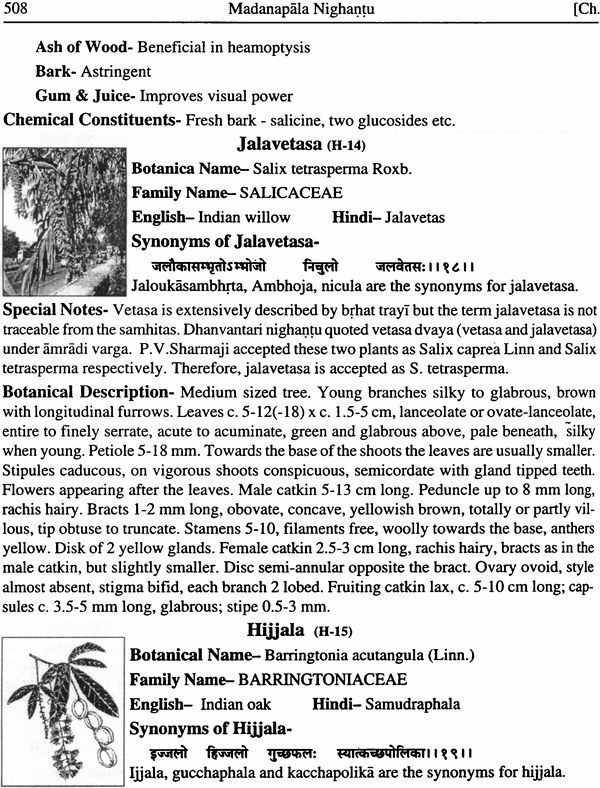 His family, traditionally prepare and dispend the ayurvedic medicines to the patients without any commercial element. Coincidentally, his maternal grandfather Late Dr. Ponnapalli Subrahmanyam was a famous physician too. Dr. Sastry graduated in first division from Dr. N.R. S. Govt. Ayu. College, Vijayawada in 1989. He completed post-graduation from Dr. B.R.K.R. Govt. Ayu. College, Hyderabad in 1998 with Dravyaguna specialty. He also submitted Ph.D. thesis under Dr. Tanuja Nesari, Dept. of Dravyaguna, Tilak Ayurveda Mabavidyalaya, Pune (pune University) in 2010. 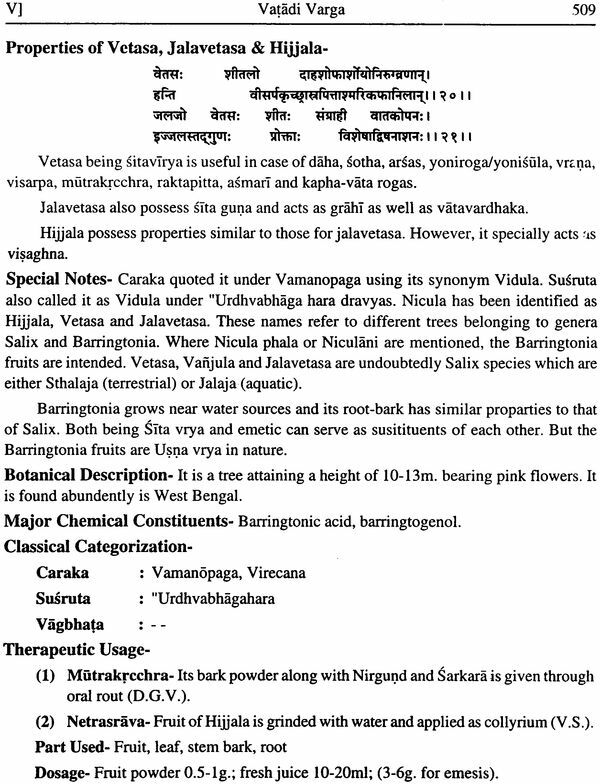 Dr. Sastry also possesses Ahhijna & Vicaksana certificates in Sanskrit from Dakshina Bharata Sanskrita Prachara Sabha, Chittore, A.P. Dr. Sastry is a topper in BAMS - 1989; topper at APPSC - 1990, topper in M.D. (Ayu.) - 1998, & topper at UPSC - 1998. He received two gold medals (Chavali Ramiab Memorial Gold Medal & Dr. Achanta Lakshmipathi Gold Medal) from Nagarjuna university in for highest aggregate and highest total of marks in BAMS for the year 1983-89. His PG dissertation received a gold medal from Ayurveda Sastrajna Parish ad, Vijayawada and a silver medal from Academy of Ayurveda, Vijayawada. 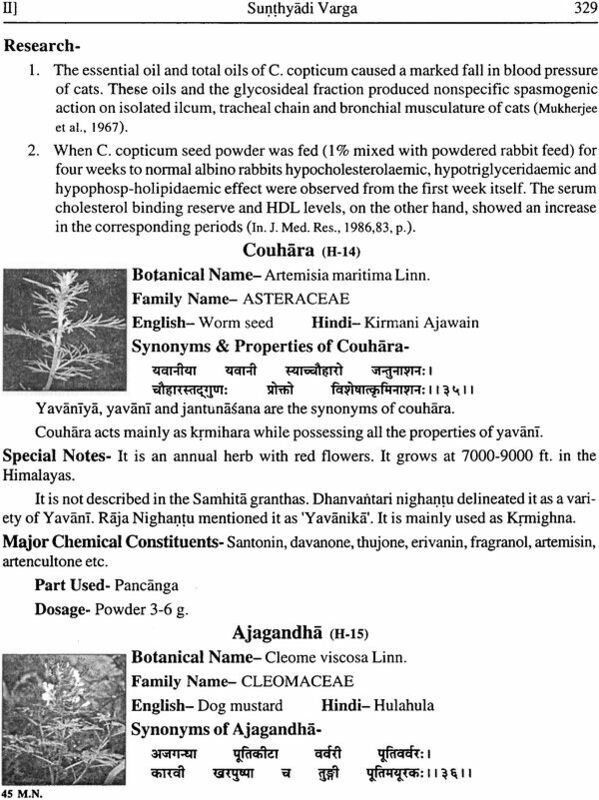 His Ph.D. work is unique on Abhavapratinidhi dravyas (Substitutes in Ayurveda). Dr. Sastry worked as Medical Officer (Ayu.) under govt. 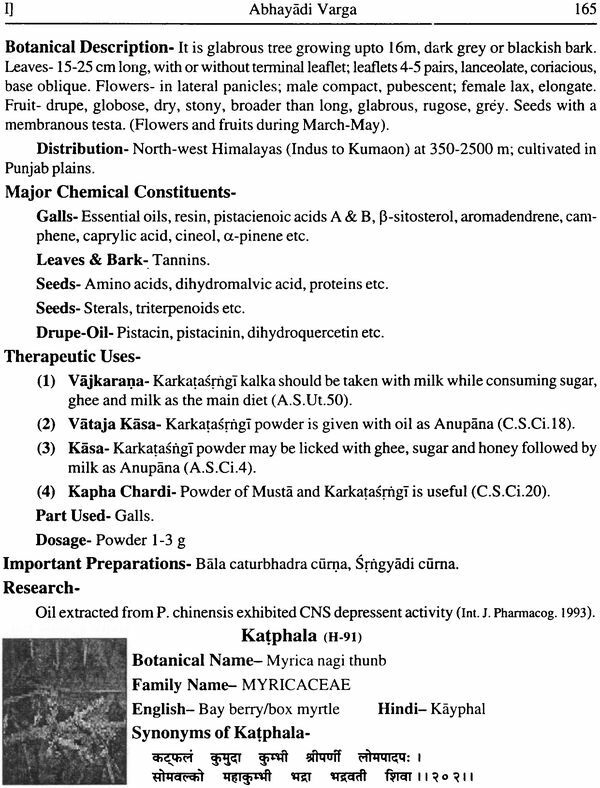 of Andhra Pradesh for 7 years (1992- 99); as Senior Medical Officer (Ayu. 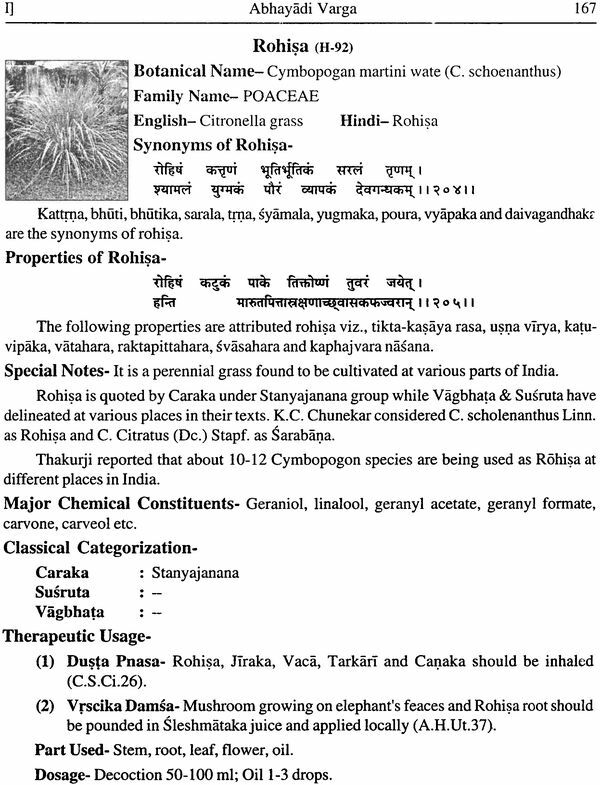 ), CGHS, govt. of India, Chennai for 5 years (1999-2004); as Medical Advisor - Ayurveda, Dabur India Ltd and Head, Clinical Research, Dabur Research Foundation for 3 Y, years (2004-07). He also acted as advisor for International Educational Faculty for Clinical Research (IFCR), Cochin (2007-08) and is a consultant to PARAS Pharma Ltd., Ahmedabad (2009-10). He is acting as Visiting professor to Dep. of Dravyaguna, J.C. Muth Ayurvedic College, Dharwad. Dr. Sastry is into the traditional practice of Ayurveda since July 2007. He is currently acting as the Chief Physician, AYUSHMAN Ayurvedic Center, Kakinada, Andhra Pradesh and Managing Director, JATA’s Ayurvedic Health Care Systems. He had an extensive list of publications viz., about 12 texts & reference books; about 50 articles & scientific papers in journals and about 20 different articles & coloumns in news papers. He had also given several TV and Radio interviews covering various topics. Madanapala nighantu, also called Madana Vinoda or Madana nighantu was composed by Madanapala, younger son of sadharana; Lakshmana Singh and Sahajapala were two brothers elder to him. The date of composition of the work is 1375A.0. 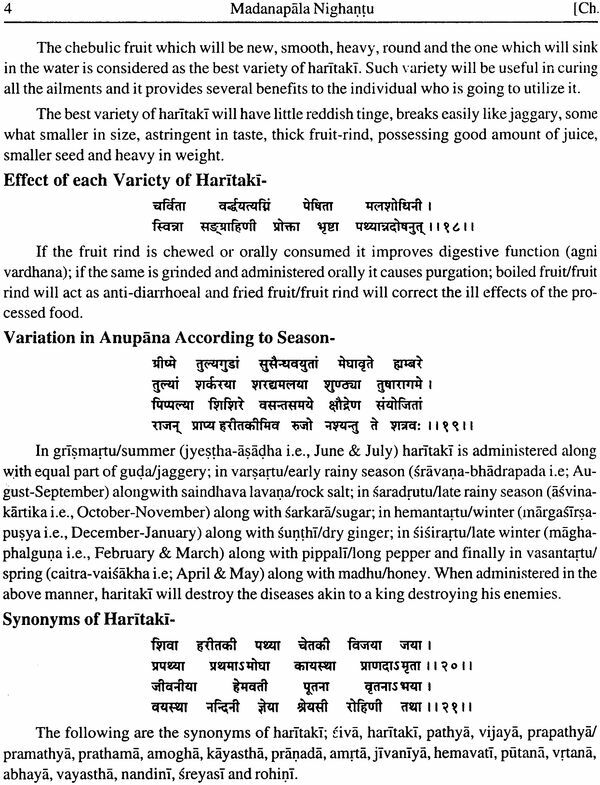 (Vikrama Samvat, 1431). Madanapala nighantu was translated into Persian during reign of Akbar in the year 1633 A.D. by Amanulla, son of Mehabet Khan, the famous General of the time of Akbar and Jehangir. The book is named Destoorul Hunood in Persian. The book was translated to help people to know hygienic principles and suitable medicines for the temperament of people living in peculiar climate. 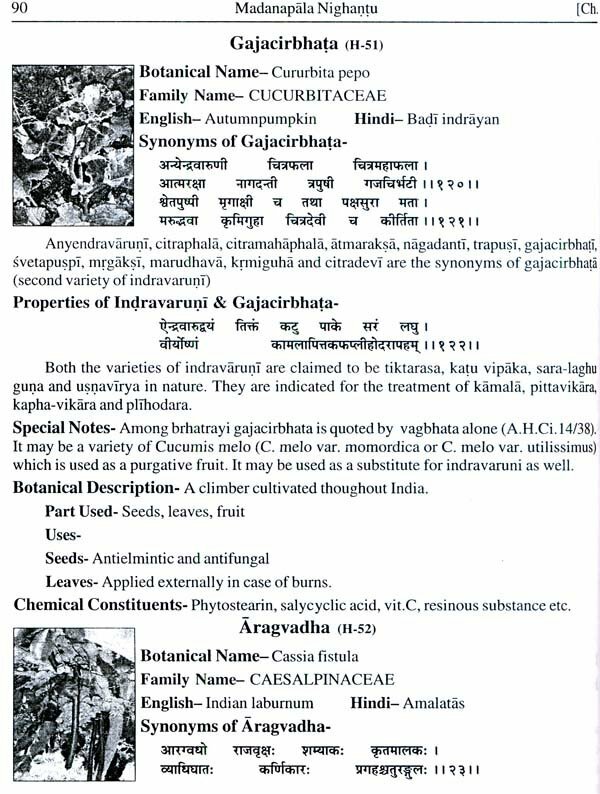 Madanapala nighantu is also known as Gananighantu because it deals with drugs enumerated in Madanadi ganas of Astangahrdaya. 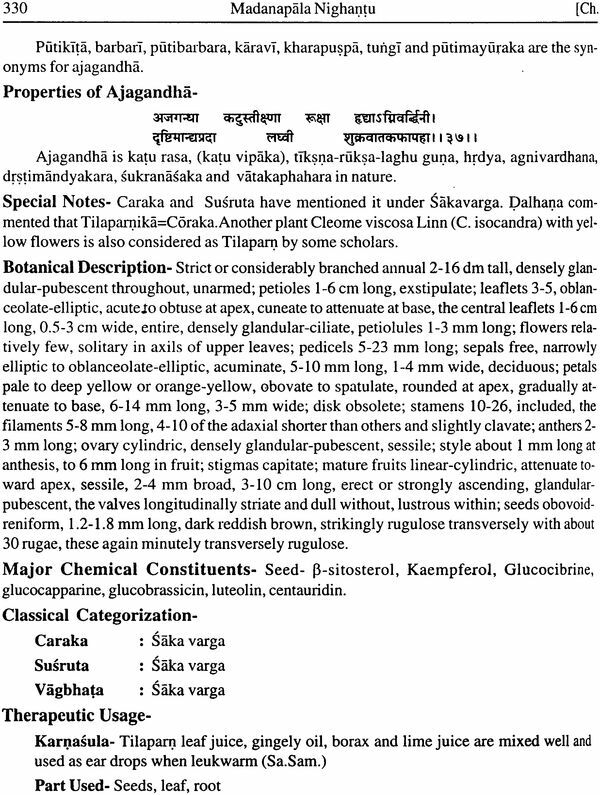 Madanapala nighantu is one of the earlier nighantu that introduced a number of contemporarily popular drugs, and constructed the base and paved way to works like Bhavaprakasa nighantu Rajanighantu and others. 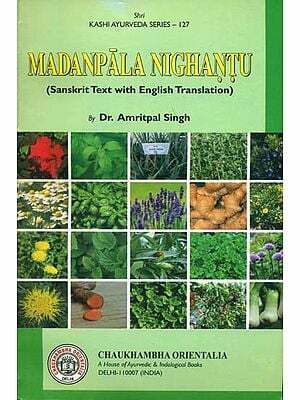 It is heartening to see an English translation of Madanapala nighantu by Dr. J.L.N. Sastry, an erudite scholar and scientist. 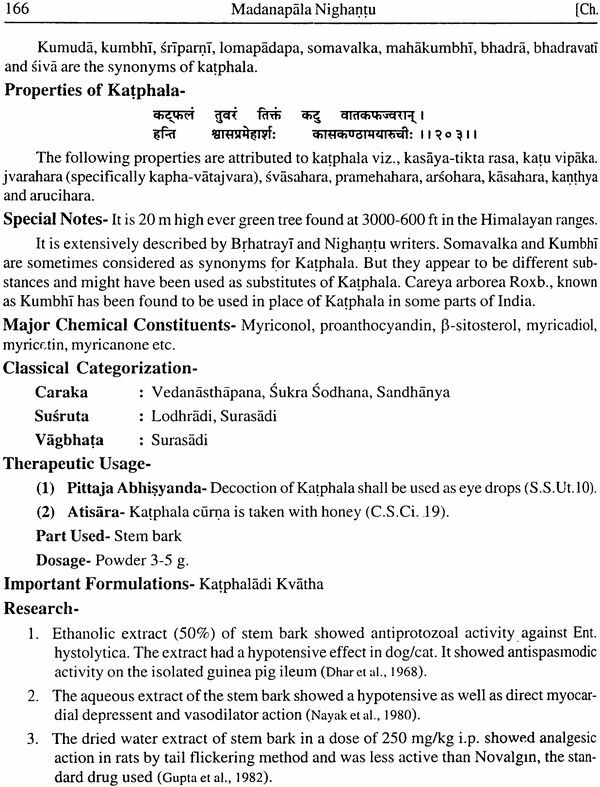 I am sure the present work will be widely welcomed by teachers, scholars and research workers and all scientists engaged in Ayurvedic drug studies. I congratulate Dr. J. L. N. Sastry for bringing out such an intelligible work which while popularising it brings to light the strength of this Nighantu in the domain of Ayurvedic Nighantu literature. The author had already completed the translation works on sodhala nighantu and kaiya deva nighantu which are under process of publication. 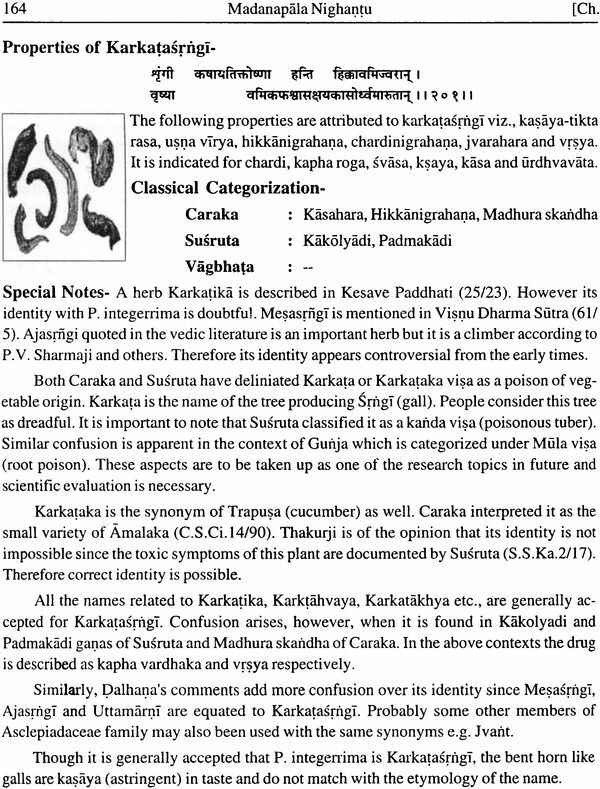 During the course of earlier translation works, the author referred madanapala nighantu several times for certain clarifications related to herbs as well as other subject matter. Exactly, these repeated consultations prompted the author to throw some light on one of the commonly ignored but highly valuable work, “Madanapala nighantu”. 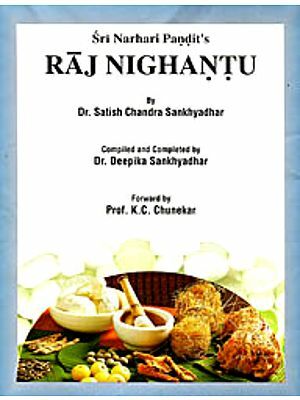 This lexicon mostly covers the herbs/medicinal plants in the first five chapters, fruits in the 6th chapter, vegetables in the 7th” chapter, liquid diet in the 8th chapter, cane-sugar products in the 9th chapter, pulses and cereals in the 10th chapter, processed food in the 11th chapter, meat/non-vegetarian diet in the 12th chapter and finally various aspects related to daily as well as seasonal regimen etc in the 13th chapter. 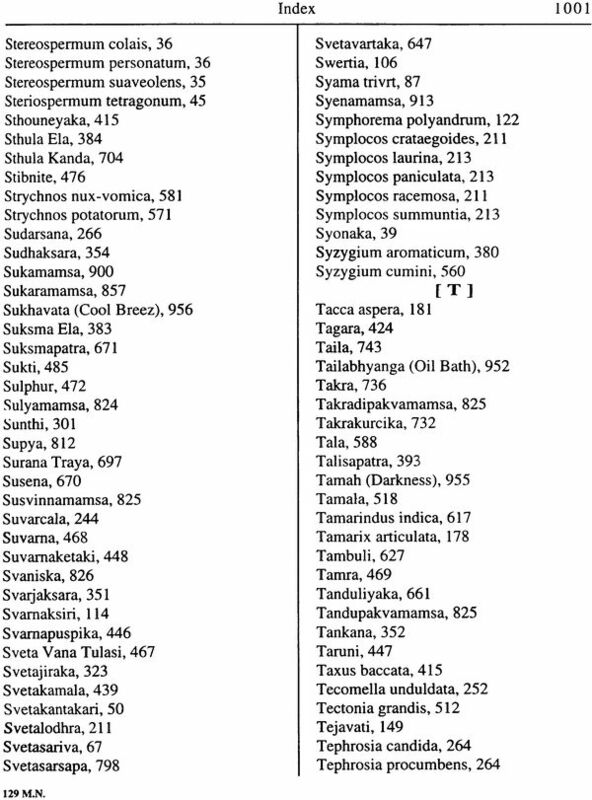 Totally in thirteen chapters all the aspects dealt by the earlier lexicons/nighantus were lucidly presented by king Madanapala in a very concised manner. 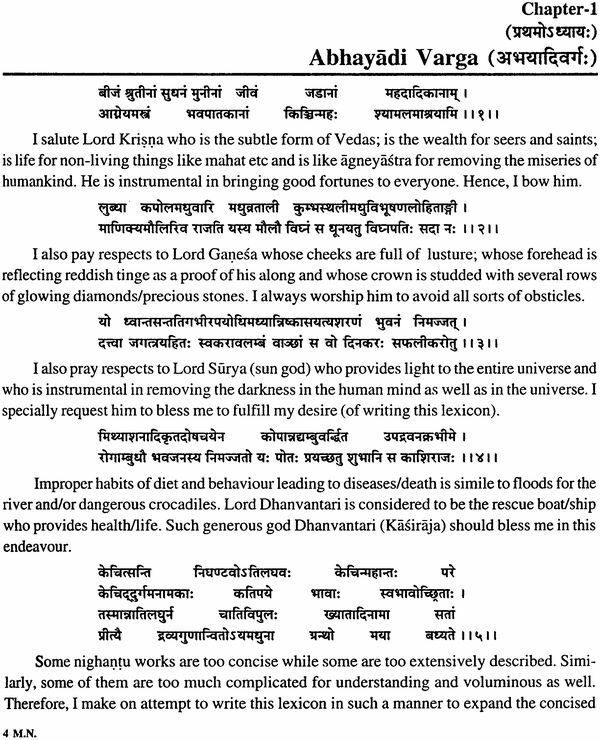 This text was first published by Sri Ganga Vishnu Srikrishna Das (Lakshmi venkateswara press, Kalyan) in 1872 (1954). 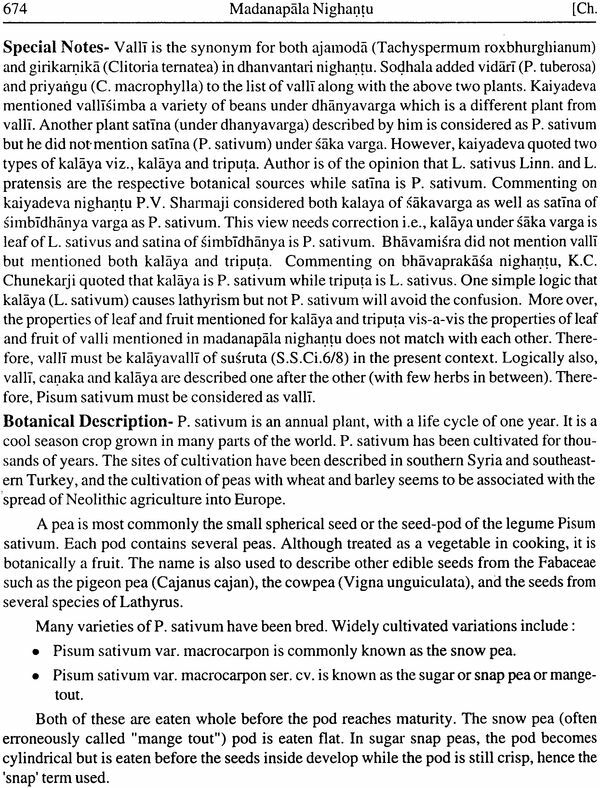 This was edited by Vaidya Ram Prasad of Patiala along with Hindi commentary- Bhasatattva Prakasini. 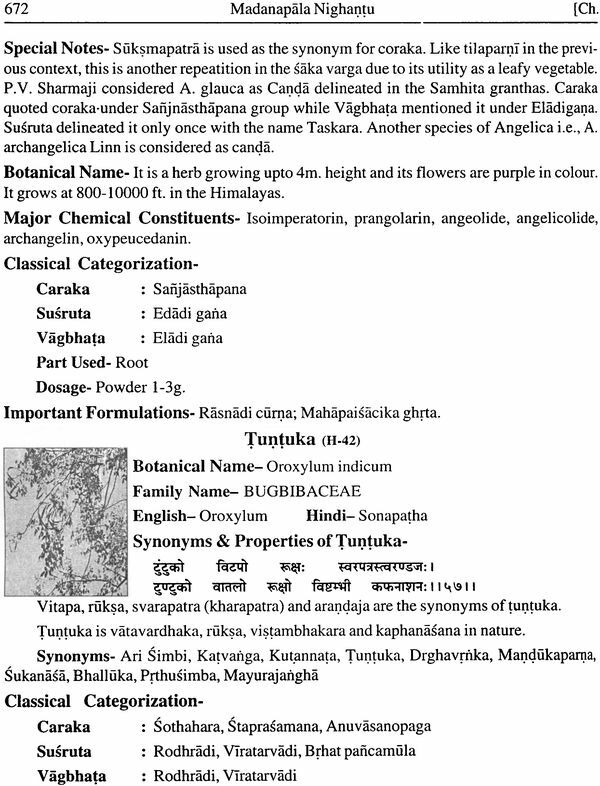 This text was written by king madanapala of ‘tika’ dynasty. His capital was ‘Kastha nagara’. 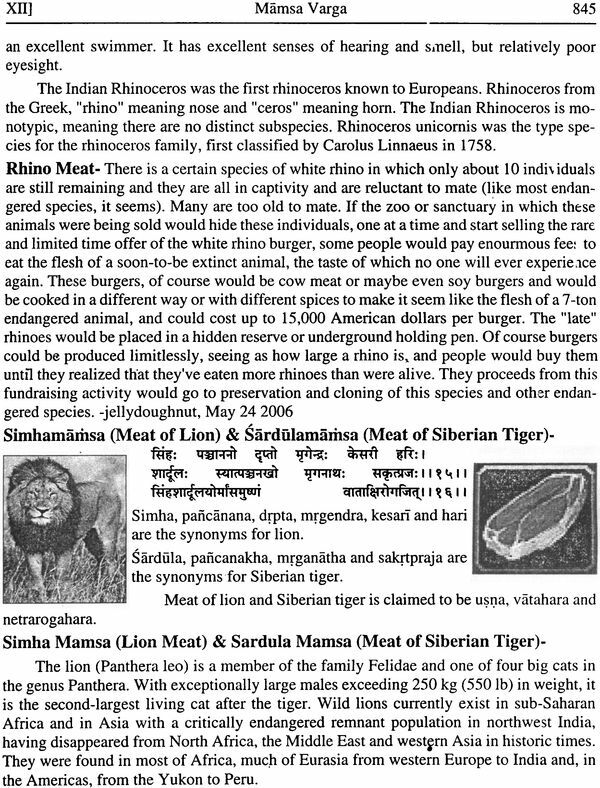 This lexicon is also famous as ‘madanavinoda’. 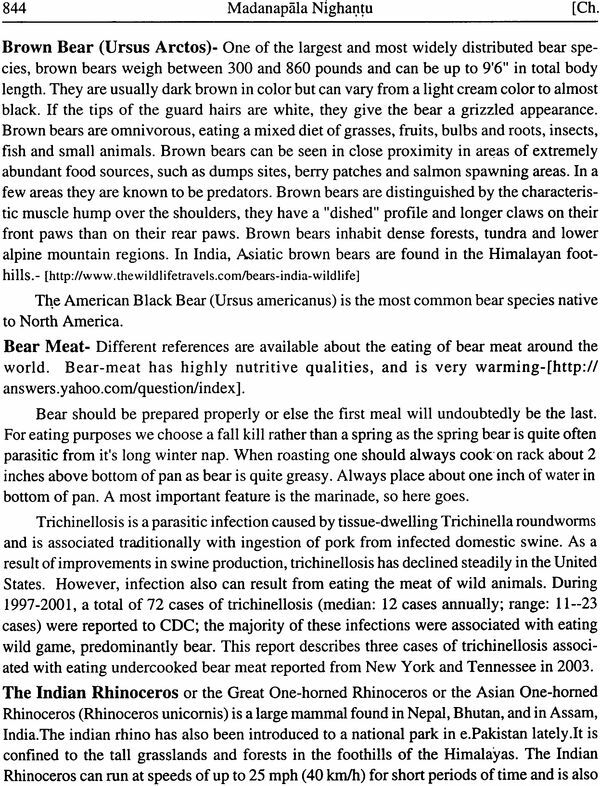 As per the mentioning at the end of this work, it is assessed that this book was written during 1374 AD. Madanapala emphasized about the necessity of writing this book by stating that- “certain nighantus are too concise while some are too elaborate. At the same time some of them are very difficult to understand for ordinary/average student and -are voluminous as well. 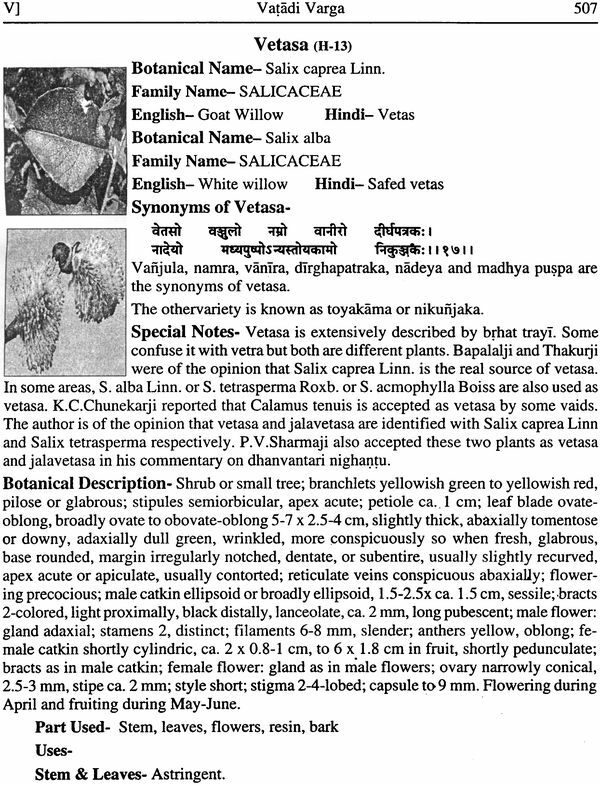 Hence, I attempt to write this lexicon in such a manner to expand the concised aspects and to edit the elaboration by means of well known nomenclature and through clear descriptions of their properties as well as actions for the benifit of wise vaids”. 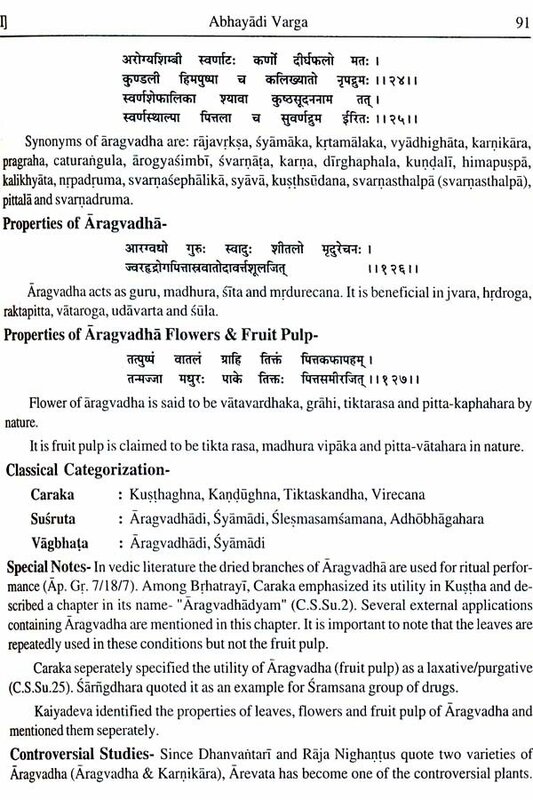 He mentioned about bhanga, ahiphena, jayapala, parasikayavani, couhara, sulemani kharjura, amrtaphala, grnjana, madhukarkati etc.